From a sumptuous international buffet spread along with unlimited Brazilian barbecued meats, a private Italian dining concept, to the finest Yunnan cuisine and array of beers from around the world; an exceptional dining experience in Kunming, China begins right here. Indugle at park showcasws an interenational buffet served throughout the day. The combination of stimulating, sophisticated interiors, delicious food, drinks and drinks is enhanced by ambient music an intimate yet spacious setting. 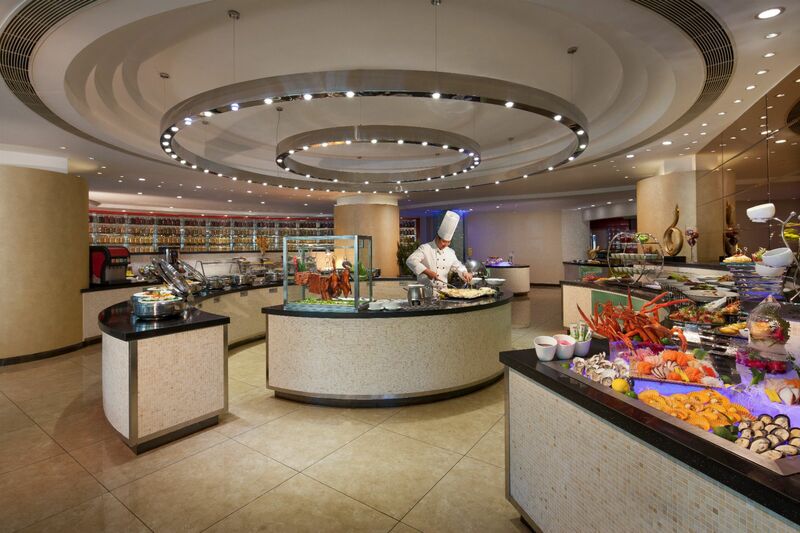 Park Palace at Grand Park Kunming enthralls the taste buds of connoisseurs with authentic Cantonese and Yunnan delicacies. It has seven private rooms available for booking. Drinking outdoors is one of the finer things in life. Enjoy the drinks at Beer Tavern will be the best parts of your day. The Deli , every cake is a unique work of art. Exceptional flavours and textures, premium natural ingredients and creative presentation make Deli cakes the finest in Yunnan.